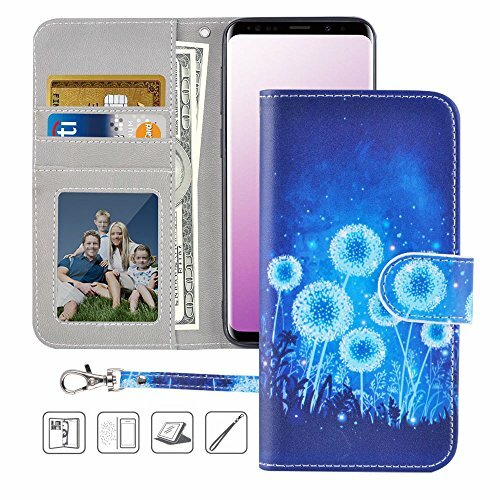 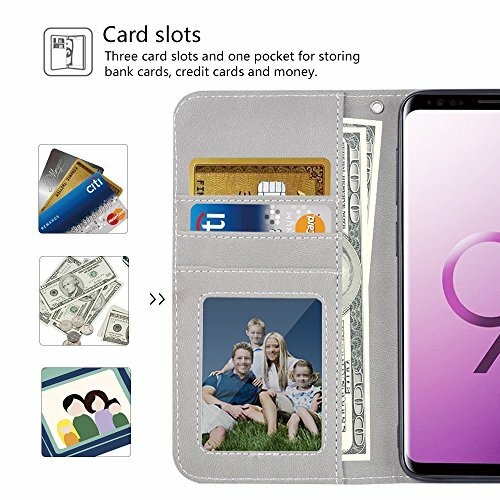 Designed for Samsung Galaxy S9 Plus only,NOT fit for Samsung Galaxy 9. 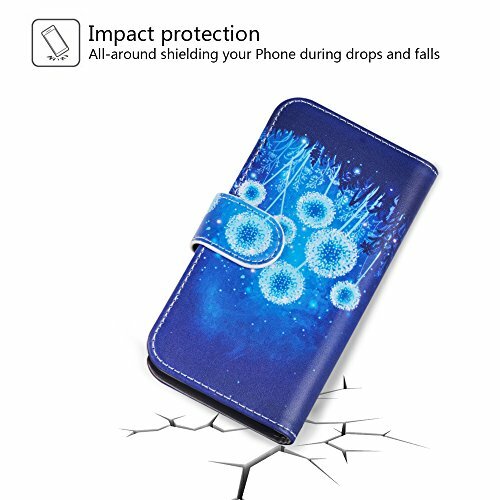 The case is handcrafted from premium PU leather as well as a silicone bumper case, which holds your phone in the case and provides strong protection. 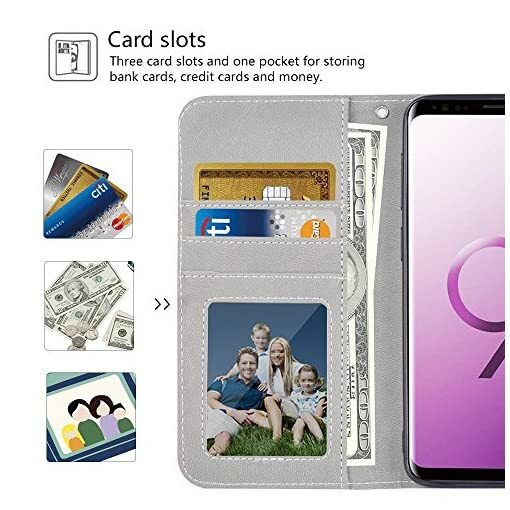 With card holder and one hidden cash pocket on the inside front cover, the wallet case gives you the opportunity to carry all your essential cards, paper money and your phone in one place. 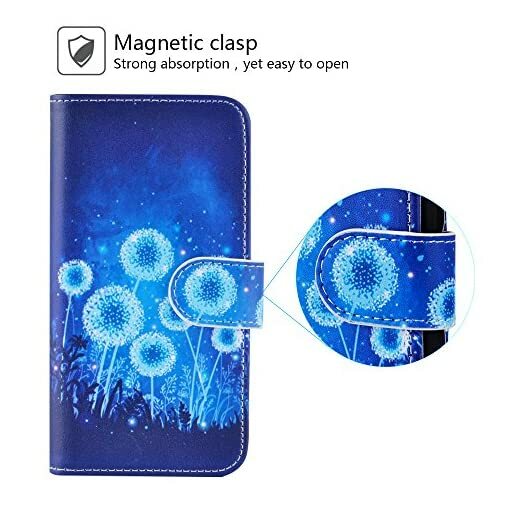 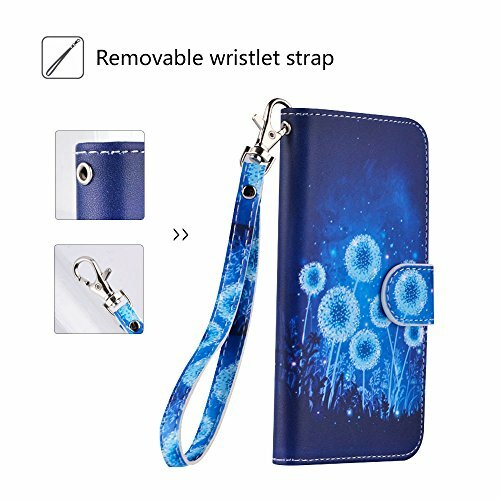 Magnetic snap closure makes it easier to open and close the case and beautiful pattern on the case with a removable wristlet strap makes it look like carrying a fashional bag instead. 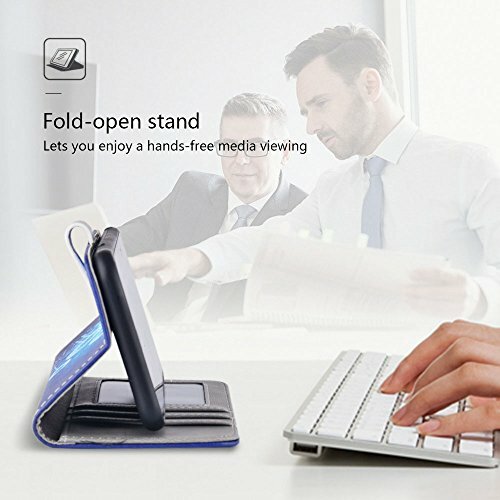 If you like to watch videos hands-free, the ability to work as a useful folding stand helps it light up your media time.